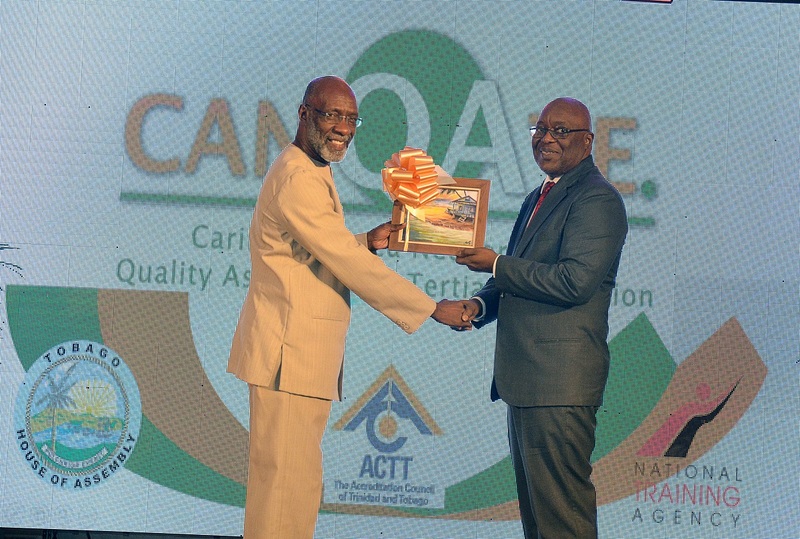 CANQATE President Vincent Alexander receives a token from Chief Scretary Kelvin Charles at the event. 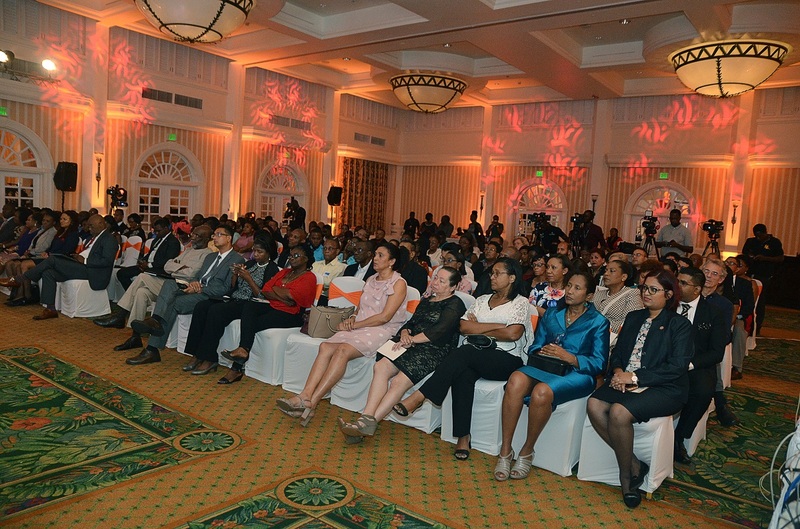 Minister of Education Anthony Garcia addresses attendees at the event. Audience members sit at the educational event. Chief Secretary Kelvin Charles speaks during the workshop. 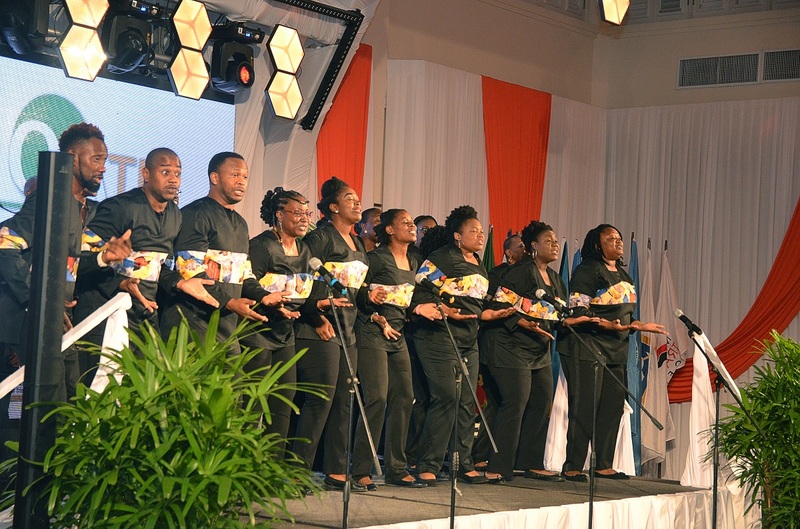 The Signal Hill Alumni Choir entertains the crowd in song. 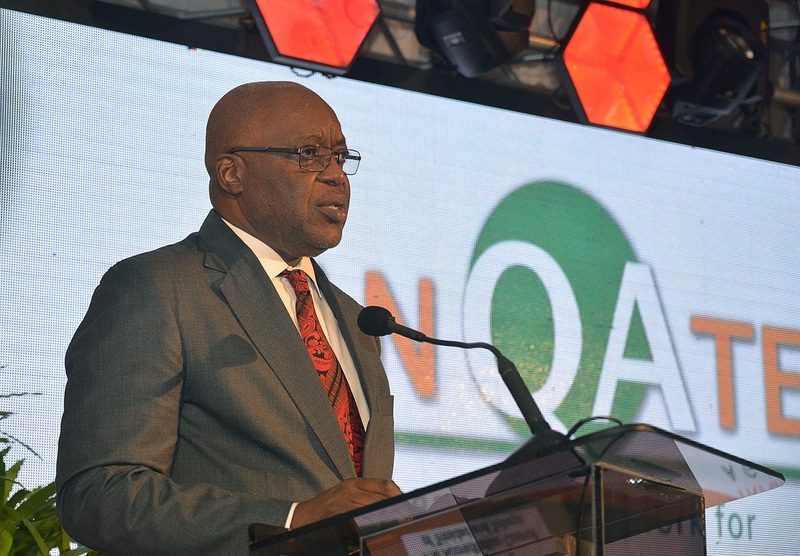 The 15th Annual CANQATE Conference and AGM took place on Tuesday (November 13th) at the Magdalena Grand Beach and Golf Resort, Lowlands. The three-day Conference concludes on November 15th. 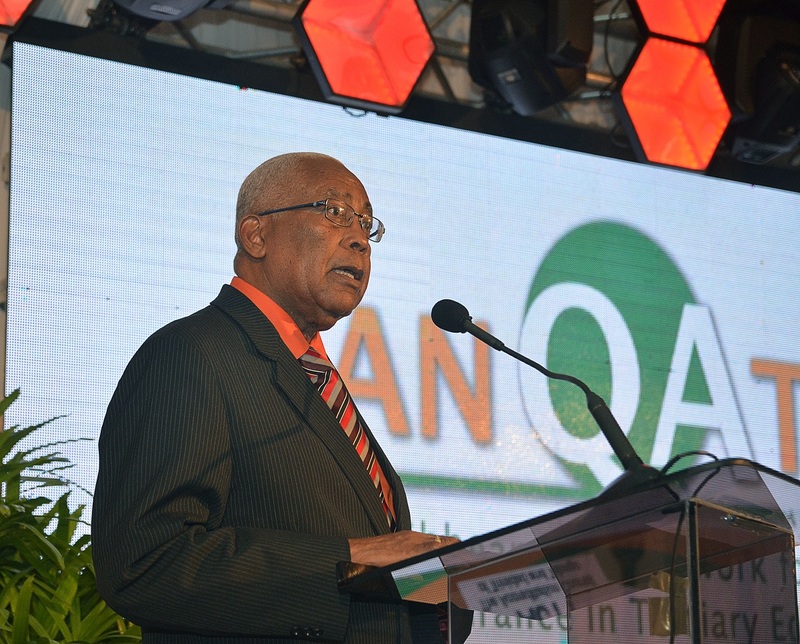 CANQATE is the Caribbean Area Network for Quality Assurance in Tertiary Education and was established in 2004 as a sub-network of the International Network for Quality Assurance Agencies in Higher Education. CANQATE works to promote capacity building among countries and institutions of higher education and to facilitate regional discourses on policy and research in the fields of quality assurance and quality enhancement whilst engaging policy makers, researchers, evaluators, administrators and faculty in professional development.